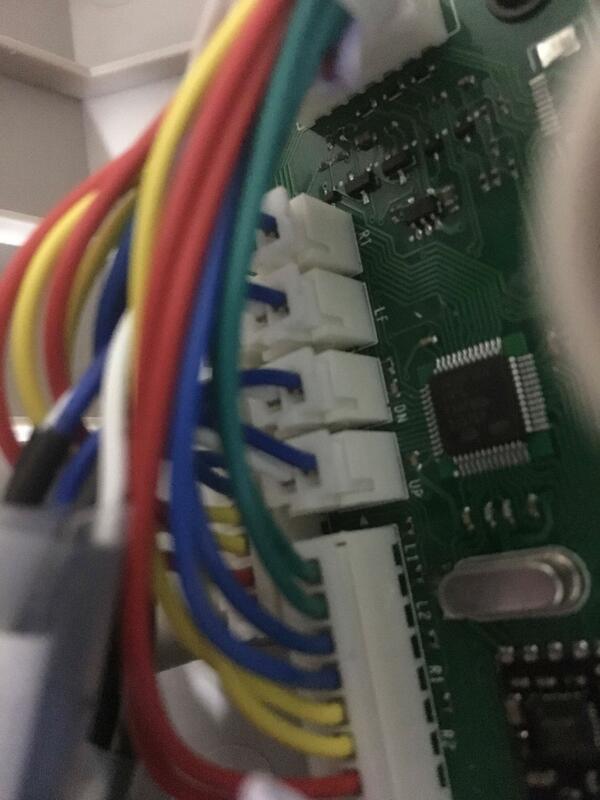 Take a clear picture of your wiring job, and then we can help you troubleshoot. Unfortunately it’s kind of a rats nest. I couldn’t find a way to splice in an extra harness without it turning into a cluster. Can I draw you a wiring diagram of what I’m trying to do instead? I have done further troubleshooting I believe I have miswired something as all is good until I connect the button pins to the Brooks itc board. Good work, Multimeter’s are my go to. 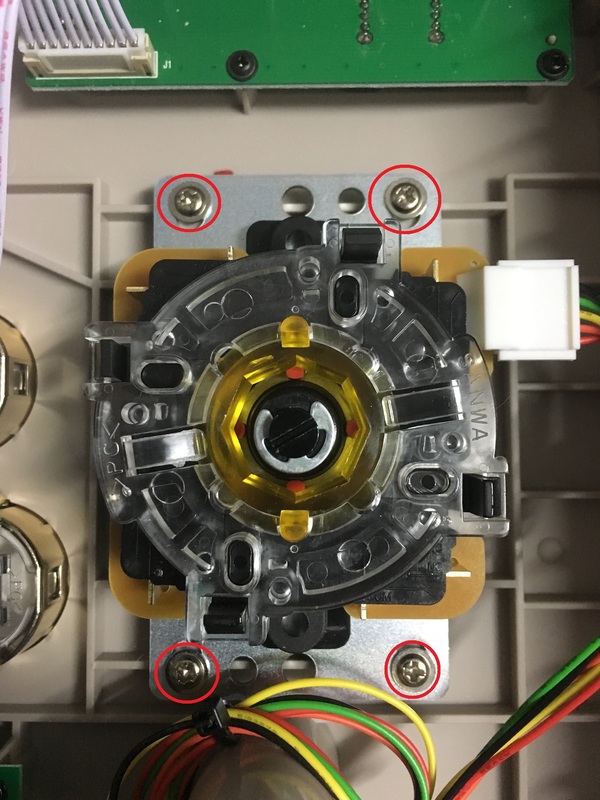 Seimitsu SS plate holes do not line up with those on a Sanwa plate. If you’re using a SS plate to provide a better shaft length you might have to go with an extender and a kowal plate or maybe a flat seimitsu plate. You could also opt for the longer shaft levers. Otherwise a shaft extension isn’t out of the question but it will affect throw, so keep that in mind. The Seimitsu SS plate is intended to fit mounts that aren’t flush with the top panel and get the same most hight possible. I am not the best at making guides, so please feel free to make any suggestions or edits. Twisting and electric tape… please don’t do it… but… it will work. All briefly explained at the bottom of the post. This is what we are going to deal with. Two little tabs on the button switch and the quick-disconnect plugs. The connectors will most likely be flush against the switches of the 8bitdo standard buttons. What you need to do first, pull on the quick disconnect until you get a little gap wide enough for a screwdriver. If you can not pull it out at all, then tilt it to the side, all we need is a little space to get our screwdriver in. Pliers are great. 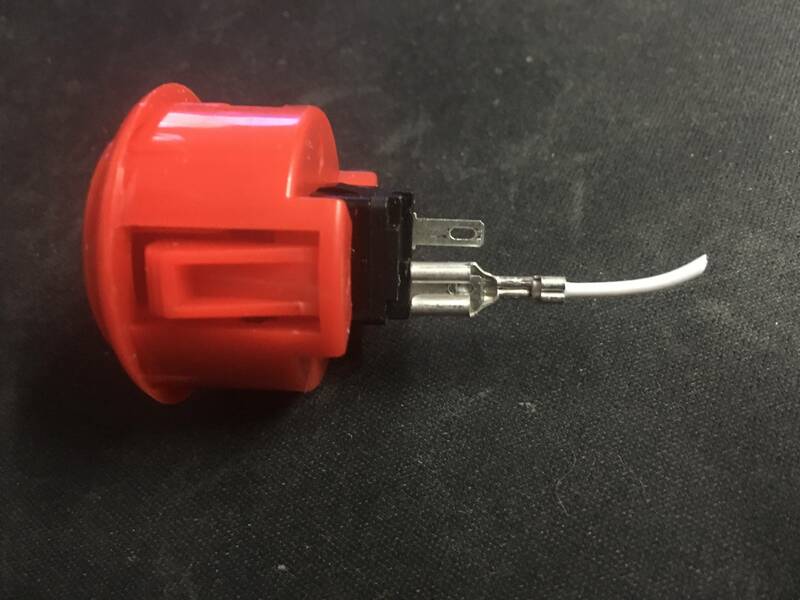 Once we get our screwdriver in, we need to twist it to the left or right to push the quick disconnect down and off. 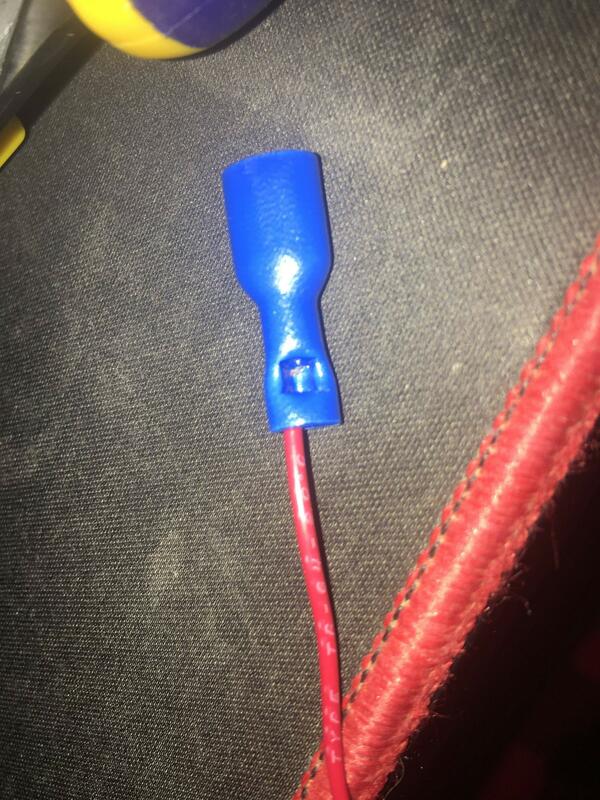 This has been the easiest way for me to get these quick disconnects out. 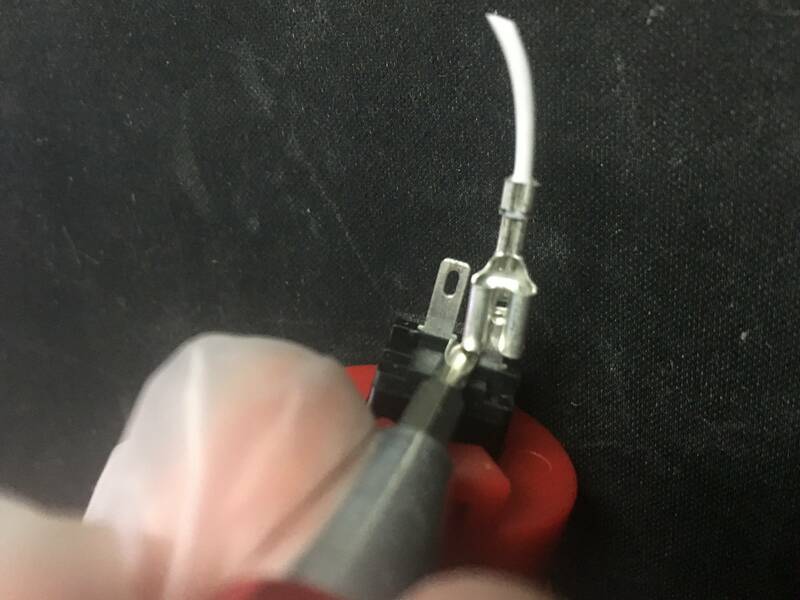 Other methods are to squeeze the little tab that is holding it in and pull out at the same time or to use pliers and grab the skinny metal part (no wires) and pull hard. Use which ever method is easiest for you. Once both are out, take the new button and connect both wires, any terminal. Just do this one button at a time and you’ll be done in no time. OK lets move on to the joystick. This is the most important piece of info you will need. Look at the joystick and the buttons. This is basically a top-down view of your 8bitdo internals. If your joystick’s 5pin is sticking to the right, then the top left picture is what you would follow. Depending on Sanwa vs Seimitsu. Start to undo the 4 screws holding in the original joystick and take the joystick out. You will notice the 8 wires will lead to four 2pin adapters. 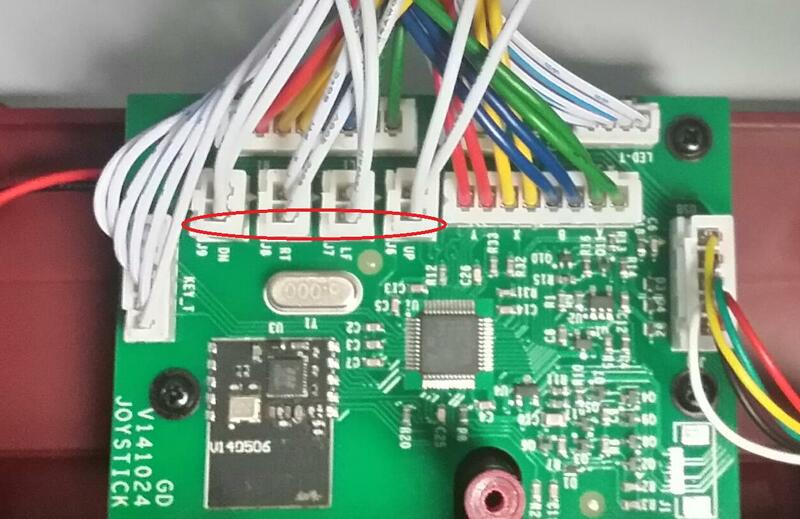 (standard 2 pin has two white cables instead of white/blue) Unplug all four 2pin adapters from the PCB. 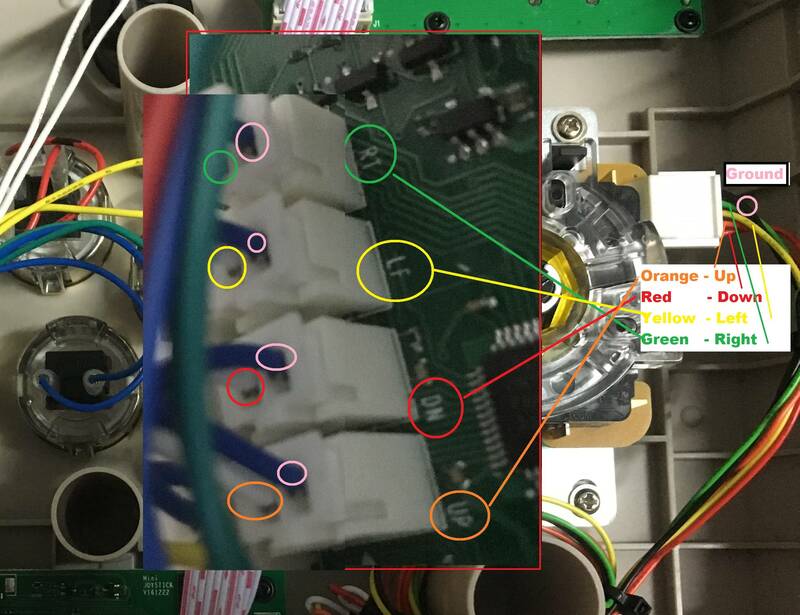 Notice how each one is labeled on the PCB RT, LF, DN, UP. 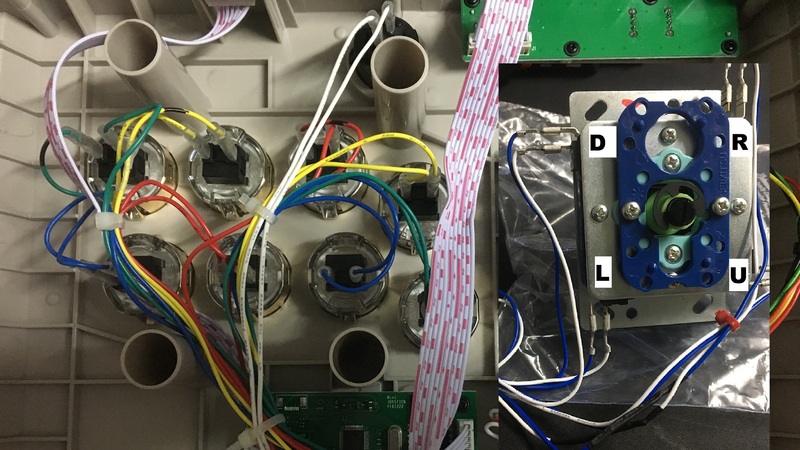 We are going to either use 4 pieces of .187 harness or cut the original 8 wires since they are soldered on to the joystick switches directly. Either way, we need four 2pin cables with nothing on the other end. Strip all 8 of the empty ends. Now take a look again where these four 2pin cables will connect. The area circled in red is where the ground wires will go. So take a look at your four 2pin cables. Line them up with the plug on the board. Make sure to note which side will be ground - the plugs only go in one way. Now take all four ground wires and splice them with the black wire from the 5pin harness. Once this is done, you just need to match up the colors we went over a few minutes ago with the four remaining wires. Check out the picture above again, everything is already labeled! RT, LF, DN, UP. So just match the colors of the 5pin to each of these and you are literally ALL DONE! If you want to use a joystick with 8 terminals, like the original joystick, then you have two choices. 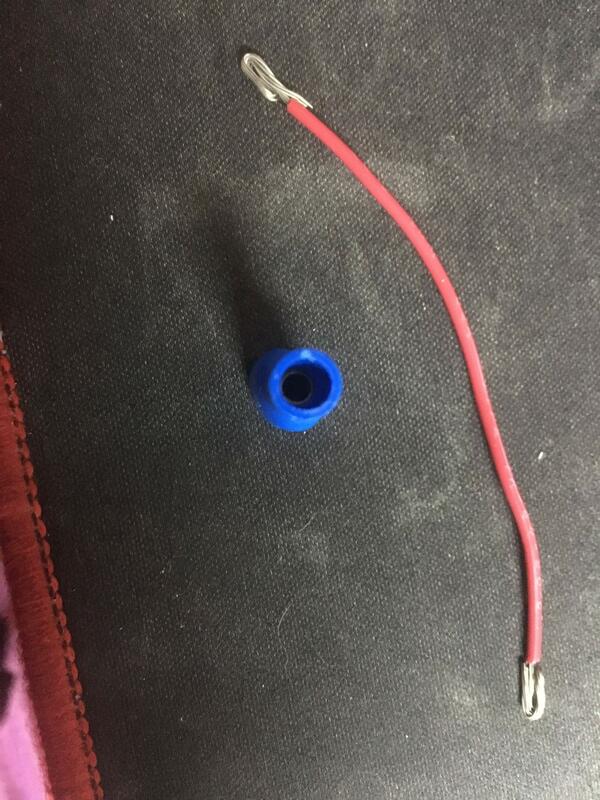 4 pieces of .187 harness OR cut the original joystick 2pin cables and solder them onto the new stick. Grounding is fine as long as all four are the same. 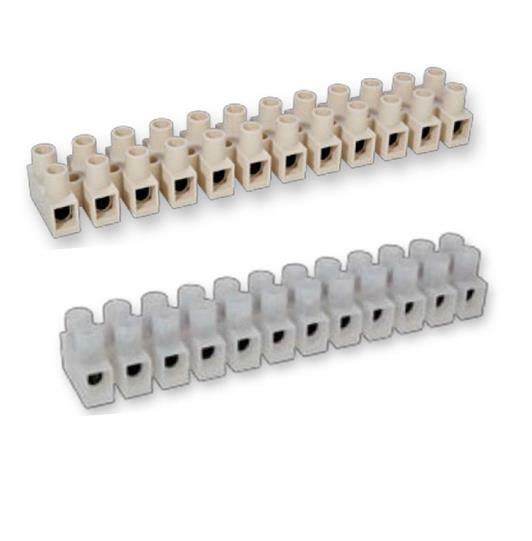 If you chose the silver looking terminals, make all silvers ground and copper live/color. 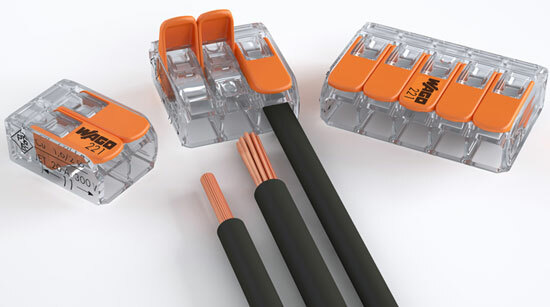 If you chose the copper looking terminals, make all coppers ground and silver live/color. In terms of directions, it’s reversed. If you’re looking at the 8bitdo internals with stick on right and buttons on left, then Top Right will be Right, Top Left will be Down, Bottom Left will be Left and Bottom Right will be Up. 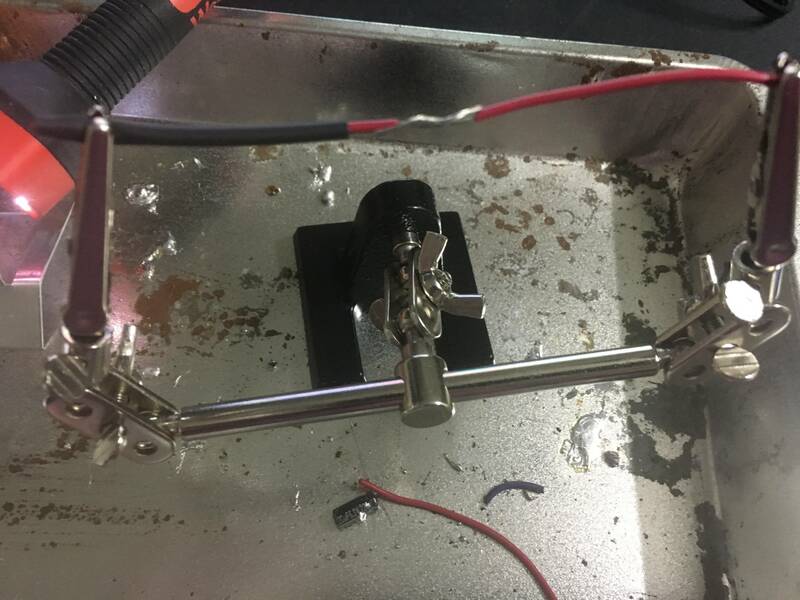 Strip wires, twist together and then apply solder. 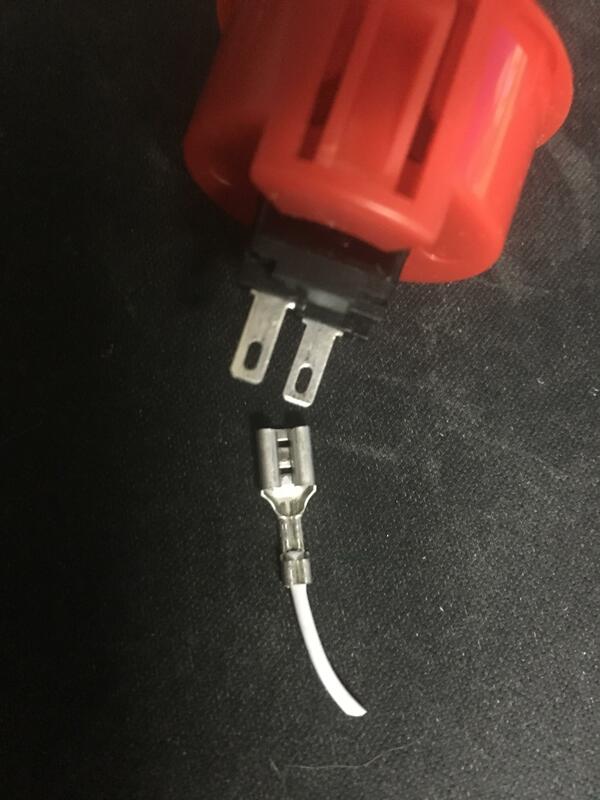 Wait a few seconds and then tug apart to make sure there is a solid connection. 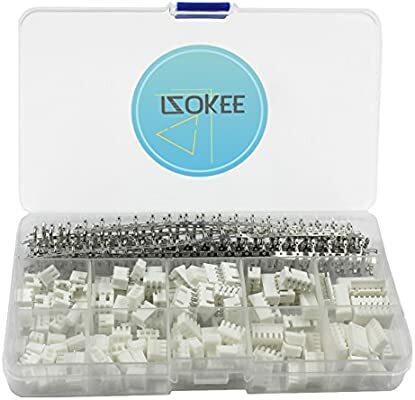 Strip a longer section and fold it up to fit your crimping connector. Visualize/memorize where the cable will go and where you will clamp. 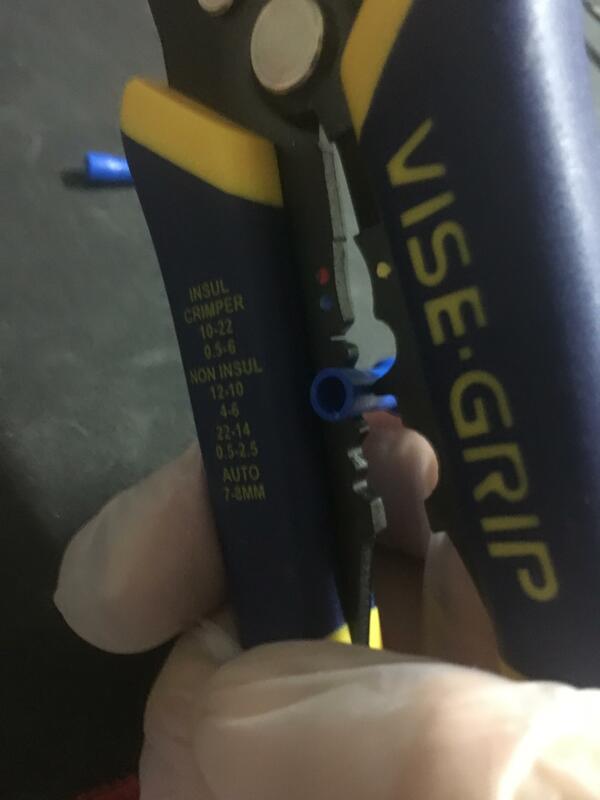 Put the connector in the half circle of the crimping tool and lightly apply pressure to keep connector in place with one hand ready to squeeze hard. 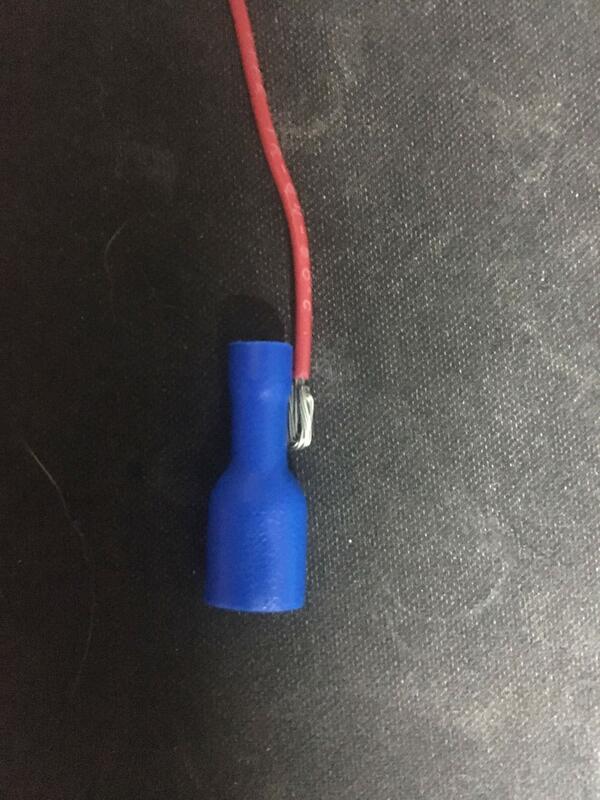 Remember the visualization/memorization and insert the wire then squeeze very hard. 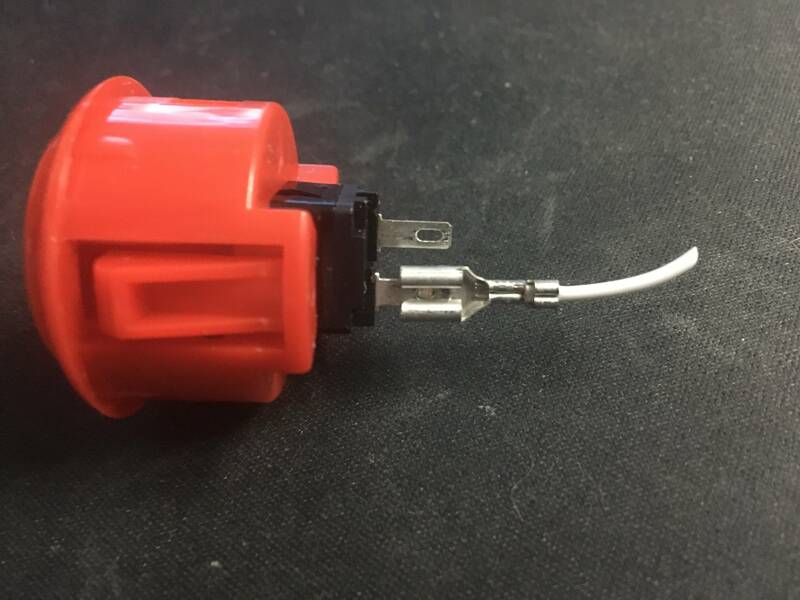 Hold it by the connector tip and tug the wire to ensure a solid connection. 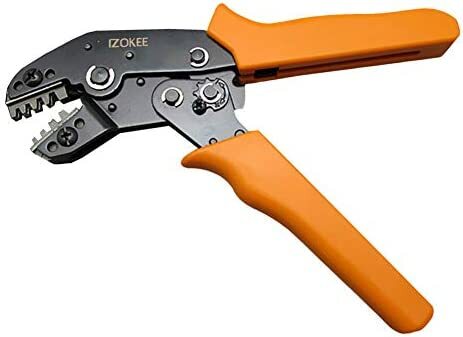 If you failed, try flipping it and crimping the other side, depending on the type of tool you are using. 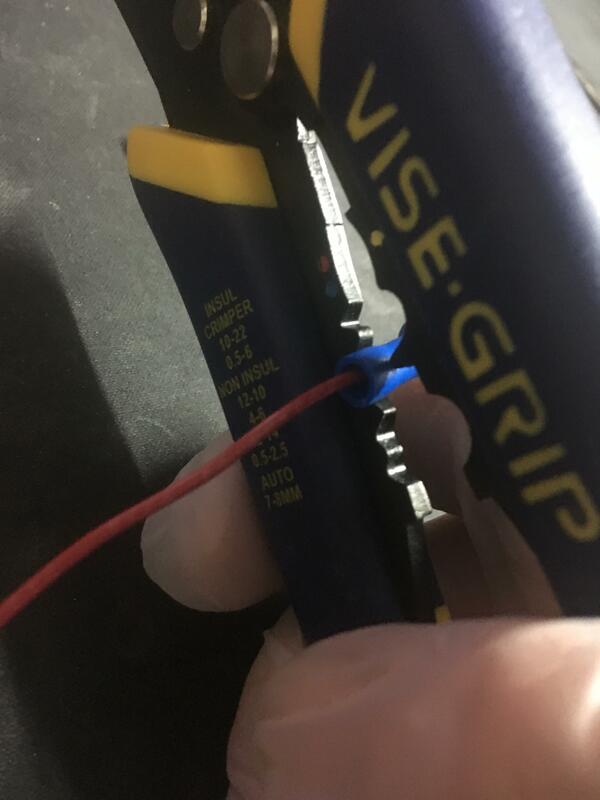 If you fail again, it’s usually time to cut losses and start over with a new crimping connector. Strip wire, insert and close down lever. 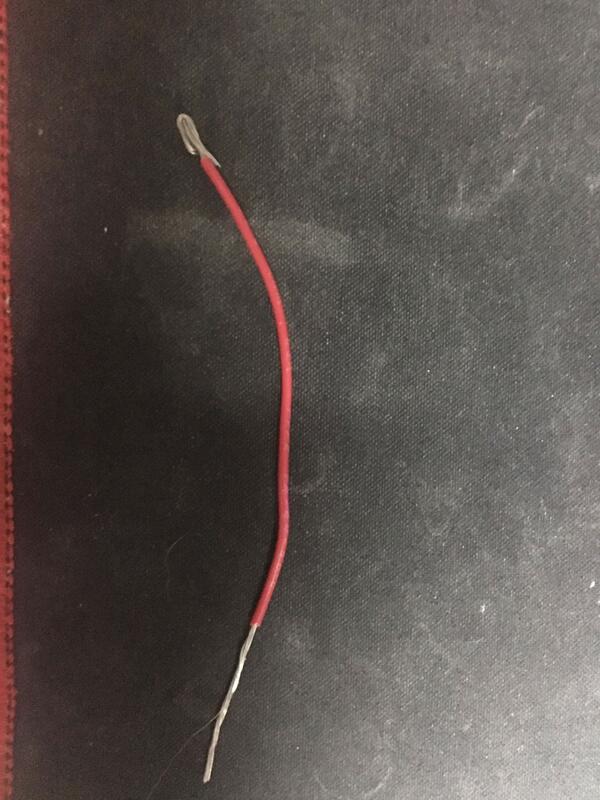 Strip wire, insert and screw down. Cut down to length. Does NOT work in the 8bitdo without dremel and shaving away plastic inside 8bitdo casing. Plus there will be no proper way of mounting all 4 screws. 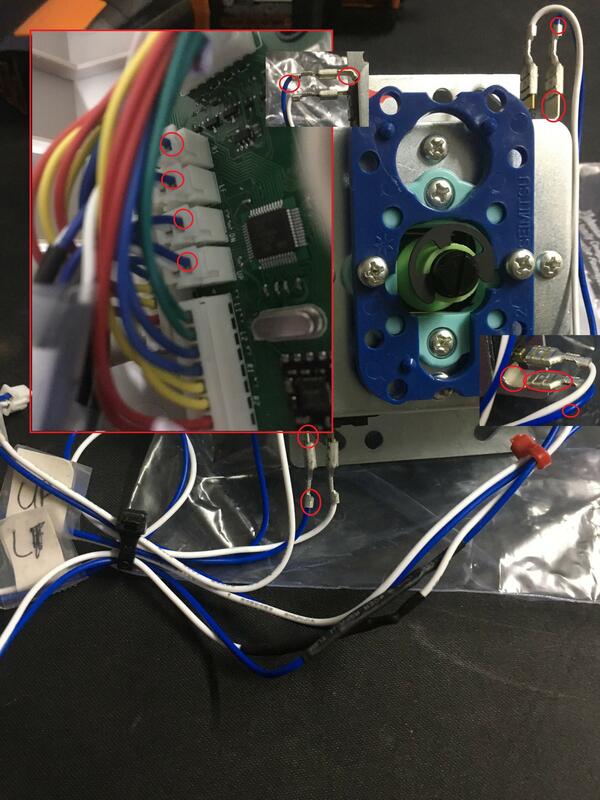 Only 2 screws, but not in the way you would think - only on the same side… which will NOT secure the joystick enough imo. Last picture is to show how much of a gap there actually is, the plastic indentation tabs have to be shaved away, even if you had four actual areas to mount this. If shaft length concerns you, then I’d suggest going with extended shaft and stronger springs to combat the extra throw added by extended shafts. My current flavor is the JLF w/ extended shaft and 4lb spring, but I’m more of a shmups guy. A big thanks to everyone here as there is no way I could have done this on my own. The crimp tool was quite expensive and I don’t feel I have much further use for it so will hopefully sell it on. And my finished, improved N30 Arcade stick. I use it with a Retropie DIY mini SNES, hence the colour choices. Sorry, multiple replies as I’m only permitted one image per post. Total pro-choice!~ Very well done! I see you setting up for that SNES HFS layout, did you swap the signals as well or is it just for looks? As I use it with a Retropie it’s easy to remap the buttons in the software, so I didn’t remap the hardware. I’ve actually adjusted things to the layout Mame 2003+ expects now which is pretty much how the N30 is as stock, so it’s a little different. 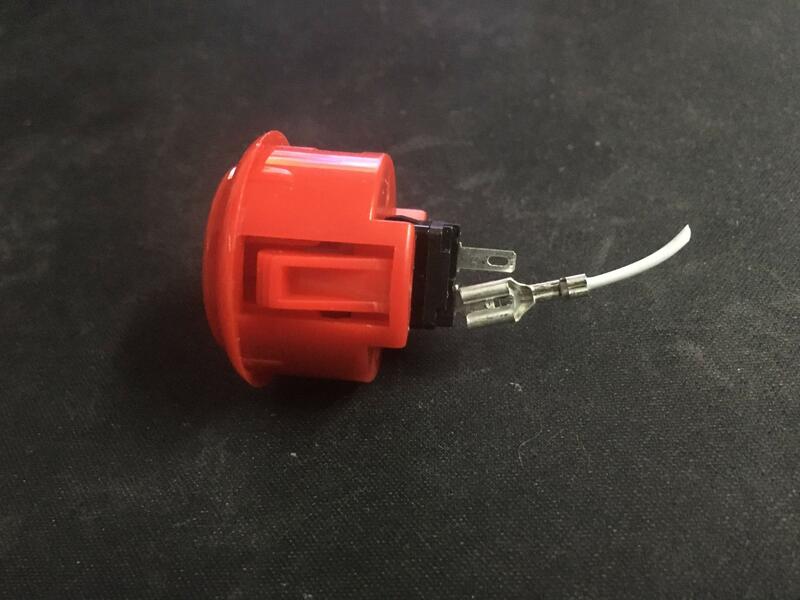 hi, so im really new to this, you said " I can confirm that the ground terminals on the PCB are all common so you’d only need to connect the ground from the Sanwa joystick to one of them and just not bother with the others." 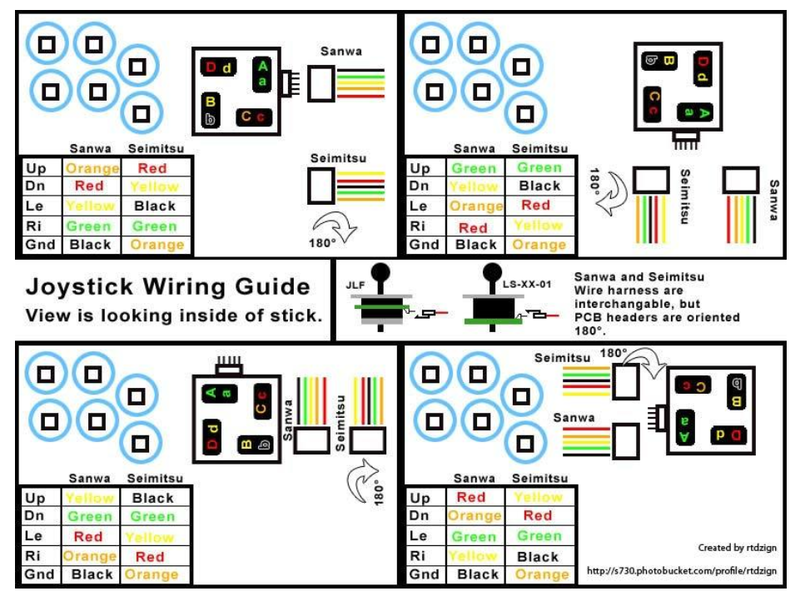 does that mean I would only need to connect the black wire to one other wire or would I need to do what you did and connect it to all of them? Edit : Do I still make the daisy chain?